I woke up to breakfast in bed on Mother's Day. 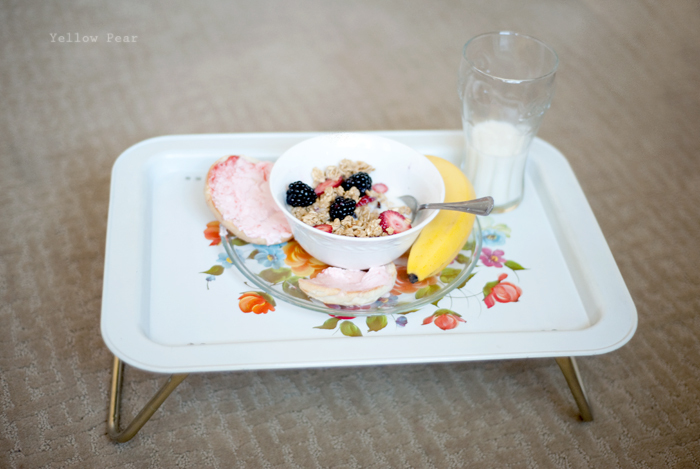 I had Miss B fetch my flower tray to put it on because that is its very use after all and I have dreamed of using it for breakfast in bed ever since the day I first laid eyes on it. It is so very fancy. The kids gave me fabulous gifts after breakfast. 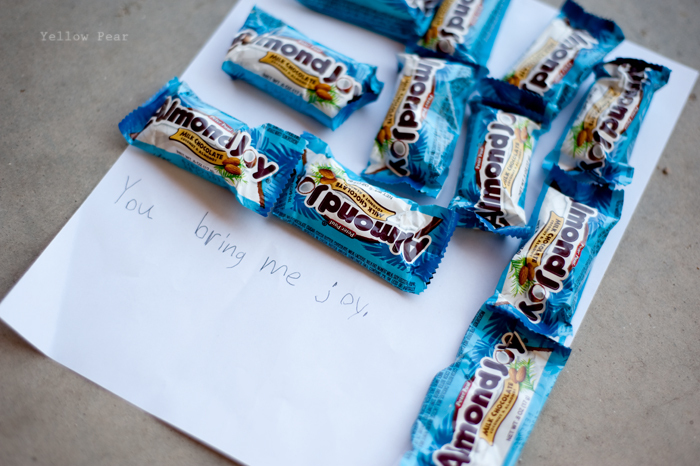 Mr. C created a very sweet Animoto video for me and a page full of Almond Joys (my favorite candy bar) that said, "You bring me joy." 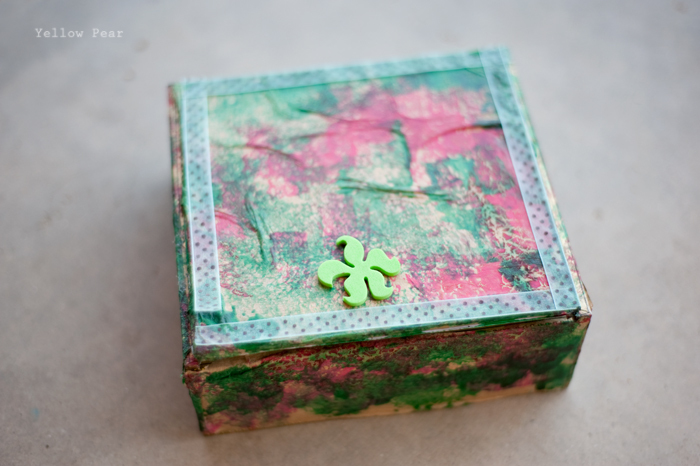 Dennis gave me a beautifully painted jewelry box with a lovely letter inside. 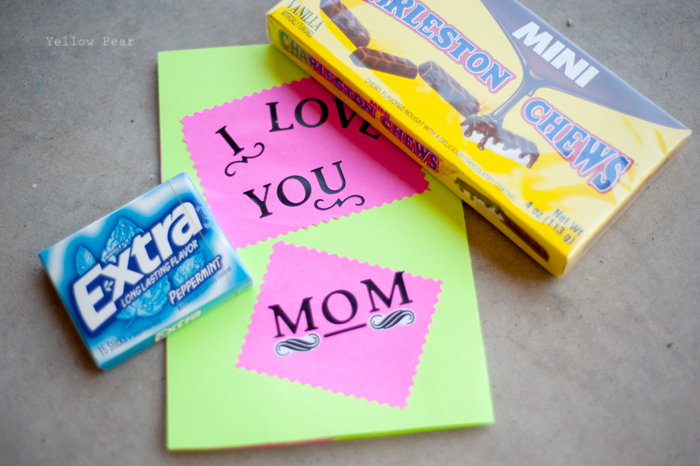 Miss B gave me a sentimental card, gum and a box of Charleston Chews (another favorite). Q was so excited it was "Mudder's Day" and drew me many pictures all day long. After church, we had friends over and shared a delightful feast of brisket, baked potatoes and green beans. We chatted and the kids played for hours. And I think I've arrived at mature motherhood. Or something. I am a true mom now. I asked for a laundry sorter for Mother's Day from the hubby. When I was young and first-married, I would have never done such a thing. I would have wanted a sweet little sentimental surprise. A little something just for me. But something NOT in any way shape or form having to do with housework, baking, cleaning, etc. It's different now. I just really, really need a new laundry sorter. My old one is totally falling apart. Every day I am fixing it and reattaching parts and trying to get it to limp a long a little bit more. And a lot of laundry goes through my laundry room, so a laundry sorter was what I wanted most. And I got it. It is all shiny chrome and beautiful. I don't even want to put dirty nasty laundry in its crisp white bags. And I was also treated to one more Mother's Day gift. This last weekend, the boys all headed off to the mountains on a fathers and sons camping trip. Which left Miss B and I alone and able to shop to our hearts' content. It was absolute bliss. We roamed the aisles of Hobby Lobby for hours, just broaming (that is a fancy word for browsing and roaming). We tried on clothes and bought a few choice pieces. We lingered in the dollar store and the party store doing more and more broaming and some shopping too. It was heavenly. We even stopped at the mall and noted how lovely it was to calmly walk here and there, unencumbered and without a crazy and fast three-year old to play tug of war with. Then the boys came home Saturday afternoon with a snake in a water bottle and all manner of stinky/dirty clothing. I heard other boys came back with sticks and rocks. Mine brought home a snake. I think I got the raw end of the deal. And they thought it was a very excellent idea to house it's "habitat" aka tote-filled-with rocks-and-water, in Mr.C's room. I protested. Loudly. I said I did not want a snake loose in the house. My hubby assured me it could not escape. He laughed and said I worried too much. Well guess what?! It escaped. Awesome. Miss B found it under her bed. And she screamed. Just kidding, she cried tears of joy and scooped it up lovingly until it wrapped around her fingers and she cooed a mock scolding at it. What a girl that Miss B is. I still haven't looked at it directly and have threatened them all with many cursings, groundings and near-death experiences if it is shoved too close to my face, is dropped on my body in some sort of cruel prank, touches any of my furniture, is bathed in the tub again, or is left to escape once more so that I am left to worry if it will slither over my bare feet as I sit at the computer. I really REALLY hope they understand the extreme severity of such a case. It would not be pretty. So here's to all you wonderful mothers out there. And beware of snakes coming home with your boys and escaping into your home. Happy Mother's Day, Lou! You are the best of the best. Your kiddies are SO lucky. However, you'd be an even BETTER mother if you ran that nasty snake over with your car and poured fuel on it and left it to burn in the summer heat. Death to snakes! I love how thoughtful your kids gifts are to you....a trait they have learned from their thoughtful mama! Very sweet!